Cold stretching (or cold working) increases the yield limit of a stainless steel material by work hardening it after all forming and welding steps are complete. A vessel can be cold stretched by over pressurizing it 1.5 to 1.6 times the maximum allowable working pressure (MAWP) under careful control of the deformation vs pressure as outlined in VIII-1 App 44. The resulting permanent plastic deformation increases the diameter up to 7% and the volume by 14%. 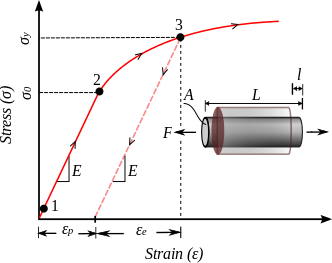 Stainless steel stress strain curve showing an increase in yield strength after cold working. The ASME allowed stress in a vessel made of SA-240 304 stainless is 20,000 psi for cryogenic applications. After cold stretching, the allowable stress is increased to 39,300 psi (Table 44-1-1 in ASME VIII-1). The higher allowable is a combination of both an increase in the yield stress and a decrease in the factor of safety. A cold stretched cryogenic storage vessel. The cold stretched vessel is not visible, contained inside a non-stretched vacuum vessel that can be seen in this photograph. 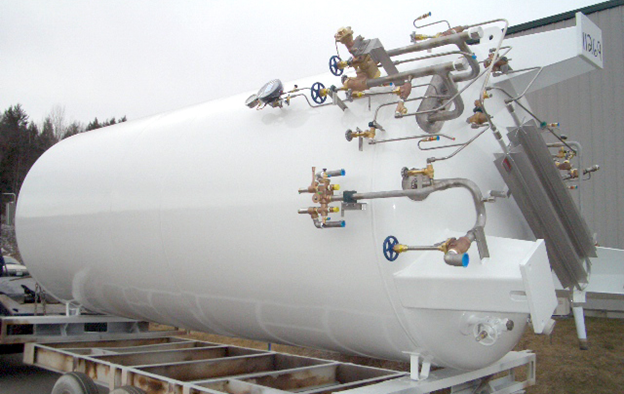 To date the only cold stretched vessels we have seen are used for cryogenic storage and we do not think this process would be practical for a vessel without an outer containment vessel. The biggest problem with registering cold stretched vessels is App. 44-2: “The use of this mandatory appendix is contingent upon the approval from the user of the user’s designated agent.” Anyone building cold stretched vessels must have a letter from the customer stating that they understand that they are purchasing a cold stretched vessel built to appendix 44. Cold stretched vessels cannot be modified or repaired without re-stretching. What’s included in the CRN submission? 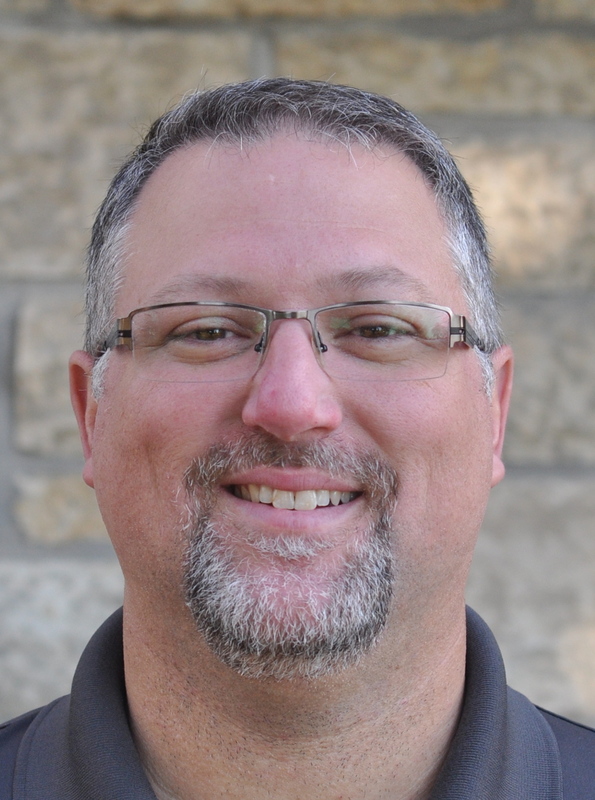 What’s in a Manufactures Design Report (MDR)? What about a User Design Specification (UDS)? The UDS is also vessel specific; however it covers the entire process, including fabrication. In addition to the information found in the MDR, it also needs to include a document, similar to your standard CSP, but less generic. For example the edited CSP should make reference to the vessel diameter, nozzle sizes, and Pressure/Temperature ratings. As with the MDR, the UDS requires a certificate of compliance as found in ASME VIII-2, Table 2-A.1. Is my current CRN valid for a different customer? Based on our experience and discussions with the various registration agencies, we have concluded that you can submit multiple user acceptance letters with a CRN submission, which will allow that CRN to be used for multiple customers. A New CRN application form or a revision to existing CRN. One user acceptance letter for each new customer to be added. A cover letter stating that a new customer is being added and that the registered design remains the same.